In a world where the poor are plentiful and the self-made millionaires get to preach, there are seemingly endless paths to take toward a financial goal. I’m here to tell you that despite all of the noise being made by droves of financial columnists, bloggers, gurus, etc., there are really only two paths you can take with respect to money: Toward being Rich or toward being Wealthy. People mistakenly use rich when meaning wealthy, and wealthy when meaning rich. In, 22 Money Secrets Your Millionaire Neighbor Won't Tell You, I shared a link that explained the difference between the two. Why I’m focusing on it again is quite simple. I want you to stop wasting time reading the wrong type of article or following the wrong money General. Speaking of money General, to make my point clear to you that there are really only two camps, Camp Rich or Camp Wealthy, go Team Edward!...I’ve always liked vampires over werewolves…I am going to showcase two champions of either camp, cause, call it what you will. Peter Adeney (I had to Google: “What is Mr. Money Mustache’s name?” to get his name as I did not know it) is a personal finance blogger many of you may follow. He refers to his soldiers as “mustachians,” and he’s a Spartan. By Spartan I mean that Mr. Money Mustache, no sense in calling him Peter as his branding is not in the name, follows the ancient Spartan lifestyle of minimalism and simplicity. The Spartans were much more than an elite warrior society! In, Why should I be frugal, when I'm so rich?, MMM communicates his personal philosophy, and as can be seen from the headline, it is no mystery that his cause is You joining Him at Camp Rich. Before I go any further in my analysis of MMM and others like him, I want to present to you Camp Wealthy’s champ. In the blue corner, we have another money General I have repeatedly written about at CCM blog. It is none other than Mr. I will teach you to be rich, Ramit Sethi. It's interesting that Mr. Sethi chose the word “rich” to be part of his site's name because when you watch videos, or read his emails or articles, becoming rich per se is not really what he preaches. In fact, he was criticized and called a snob for switching teams, so to speak, early in his branding career. Although Mr. Sethi wants you to make a ton of money, he is NOT a minimalist, and “simplicity” is only what he believes the task of becoming wealthy can be if you become his soldier. Mr. Sethi is a modern day Roman…a visionary who believes in carving out an empire. Just read his about Ramit page and you will understand why he’s a Roman and not a Spartan as is MMM. Which side do you fall on? If nowhere, who will you join? There are certainly more contrasting characteristics than what I have listed above, but I think these are enough to provide a lucid depiction of Camp Rich and Camp Wealthy. Whether you feel it happening or not, there really is a battle going on between Camp Rich of Sparta and Camp Wealthy of Rome. The various Generals of each faction are after your hearts, minds, time, and attention. My analysis is to help you see when you are being pitched a Camp Rich or a Camp Wealthy philosophy. Don’t waste time reading from an opposing camp’s war journal unless you want to see the other side’s battle tactics. I, myself, belong to Camp Wealth though this blog is more of a hybrid, albeit weighted more toward Camp Wealth (70:30, I’d say). You may have already decided the philosophy of money most suitable to your personality. If it isn’t making you happy or keeping you satisfied, there is nothing wrong with switching camps. Both camps have outstanding Generals, and so the choice of path to stay on or take is up to you. The worst you can do is look out at the diverging road and stay put out of fear. 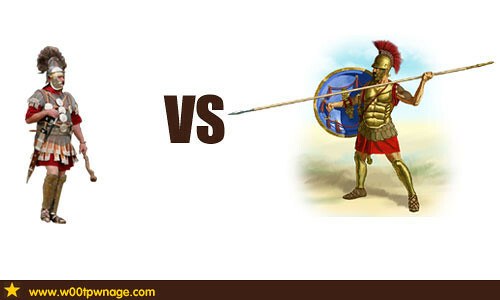 Spear or sword? Grab a weapon! This has been Camp Wealth General, C. Osvaldo Gomez, reporting from the battlefield. If you liked what you just read, I can dispatch more battle tactics your way when you subscribe to this war journal. Carlos, out! I wish I would have some more knowledge blog about financial planning and personal budget by this time. I guess, I live a life of a person, who is half-aware of his financial possibilities. Keep learning. Keep reading. That's how I did it, Paul Smith. Opportunities and threats that exist within modern industries, what is the sat test score range find it here.